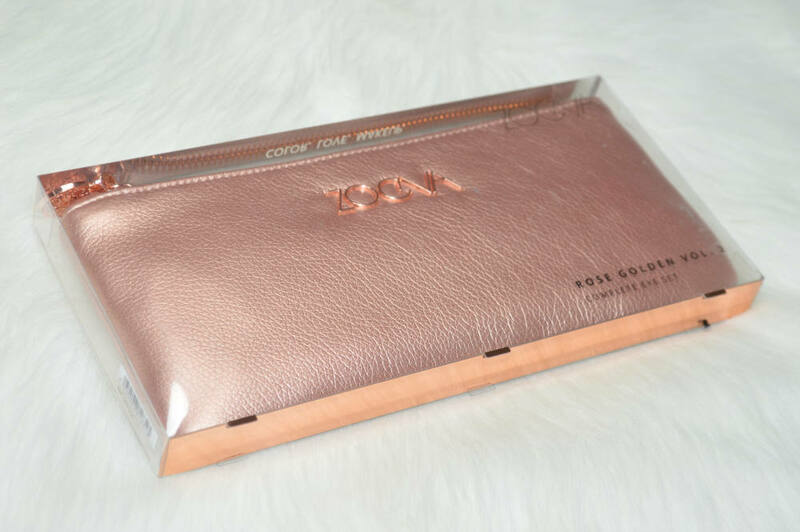 Zoeva Rose Golden Complete Eye Set Vol 2 | Gemma Etc. I have a serious obsession when it comes to makeup brushes, and I’ve tried endless brands over the years and the question I’m most frequently asked via email, Twitter and Disqus is ‘what is my favourite makeup brush brand’ and it would have to be Zoeva, In my opinion, Zoeva brushes are absolutely incredible and I prefer their brushes to brushes from Real Techniques, Sigma, MAC, Illamasqua, Nanshy, Crownbrush and Morphe Brushes and they’re incredibly affordable too. I already own a lot of Zoeva single makeup brushes, but I decided to treat myself to their Zoeva Rose Golden Complete Eye Set Vol 2 a couple of months back, and it was the best decision I’ve ever made as the quality of the brushes within this set is just outstanding, and it only costs £65 for 12 amazing quality makeup brushes as well as a beautiful pouch to store them in. 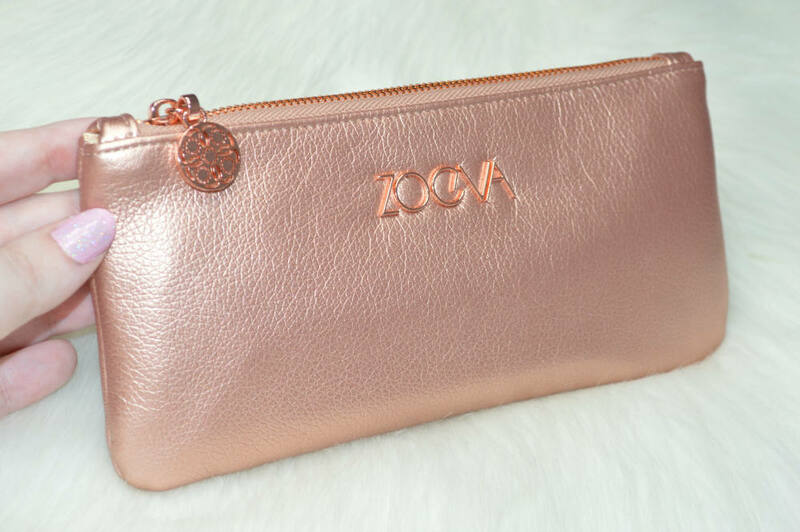 The Zoeva Rose Golden Complete Eye Set Vol 2 comes packaged within a gorgeous, rose gold faux leather zipped pouch which is perfect for storing the brushes inside. 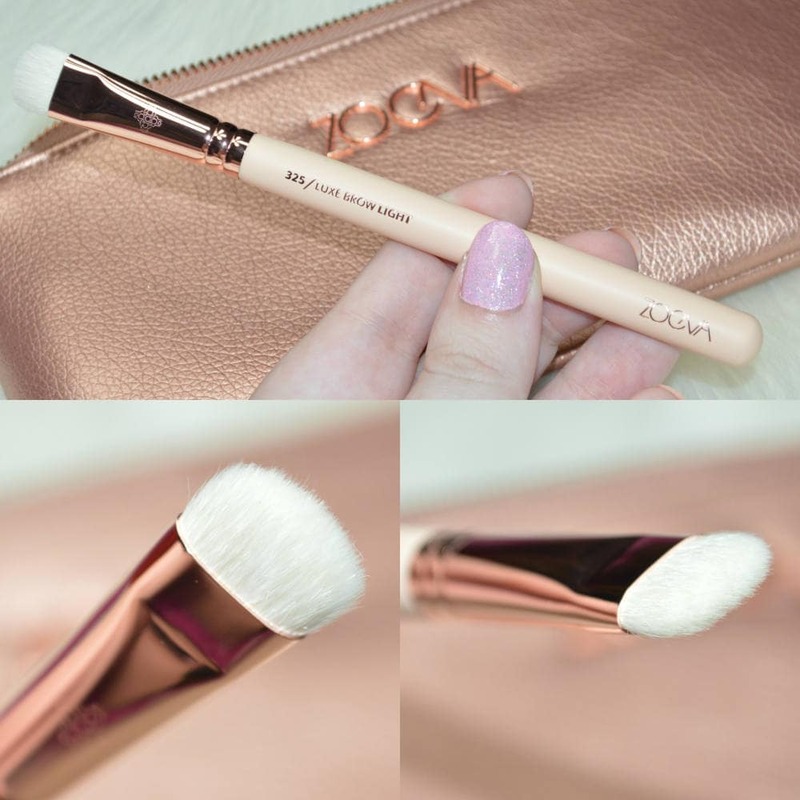 The pouch is really lovely, and it’s hard to believe that you get a pouch as nice as this, and twelve beautiful, full sized makeup brushes for only £48 – especially when you consider the MAC 217 Blending Brush is £20 for just one brush which is seriously extortionate. 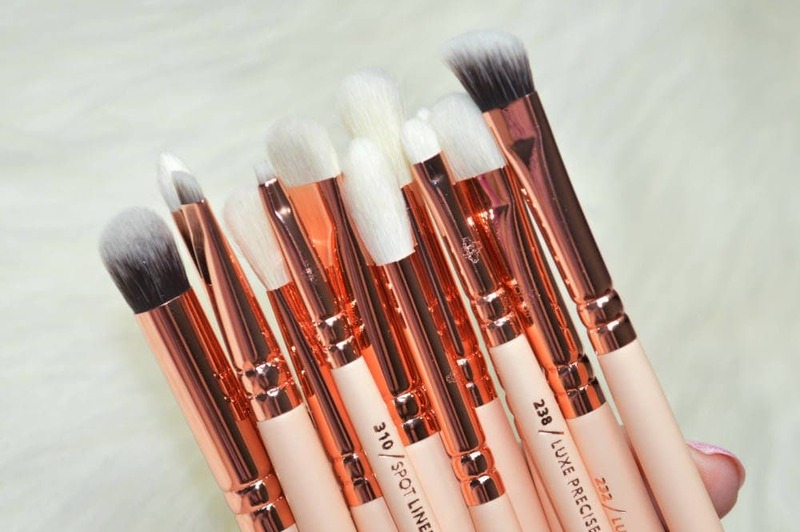 Each of the twelve brushes within this set have a pretty pastel pink wooden handle, with a rose gold ferrule which is just a stunning combination. 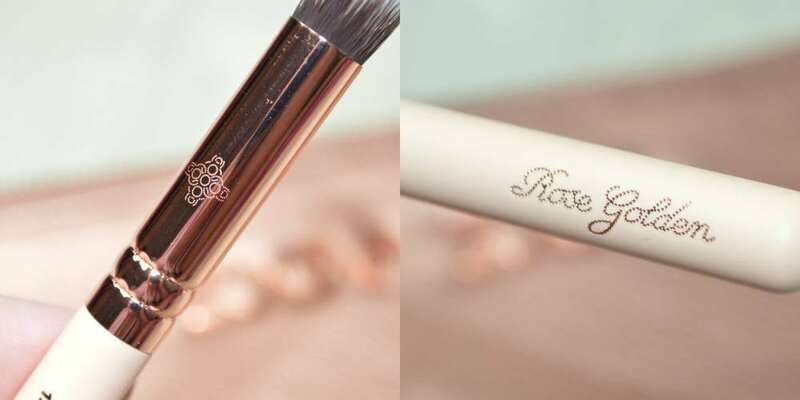 On each of the handles, the name and number of the brush is printed on the front and on the back is the word ‘Rose Golden’ in a dotted effect with I love. 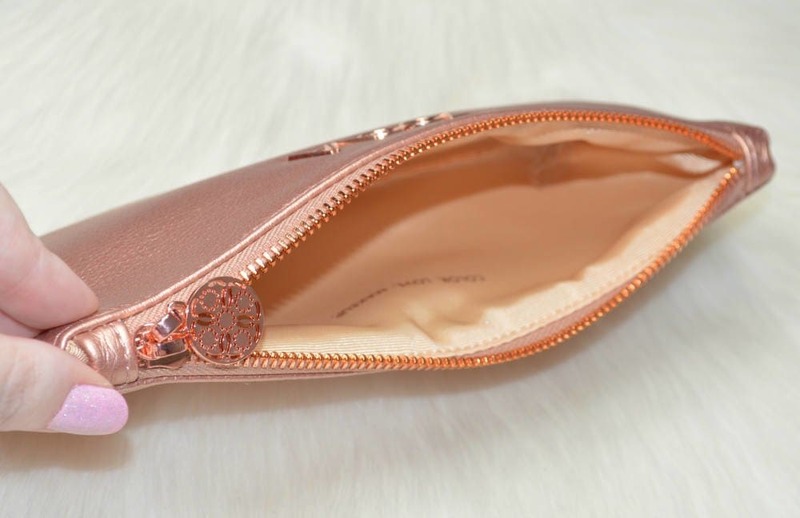 There is also a little logo printed on each of the rose gold ferrules – I just love the attention to detail. 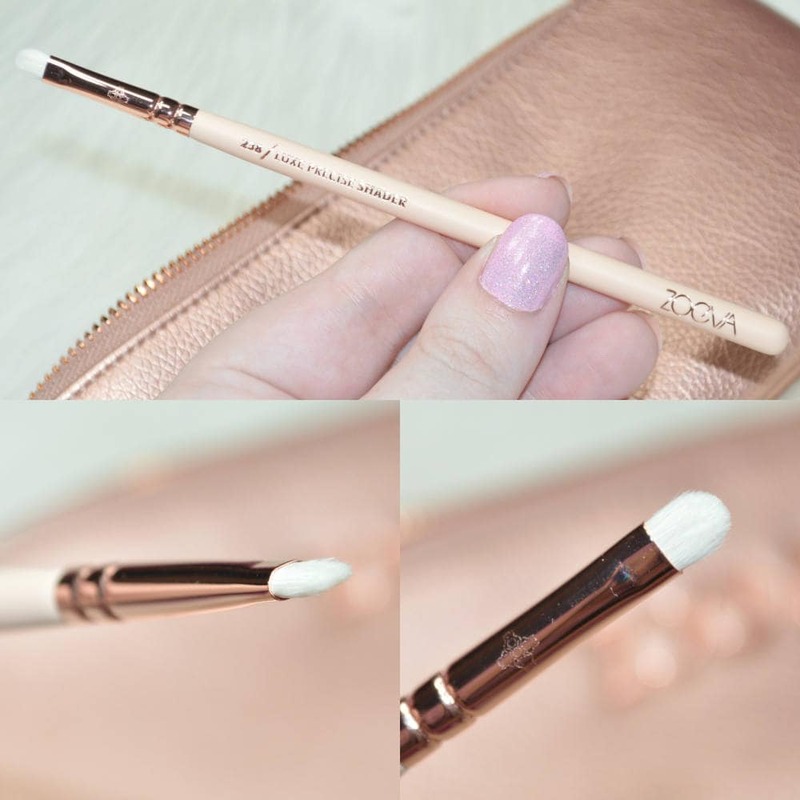 The Zoeva Rose Golden Complete Eye Set Vol 2 contains a fantastic selection of eye brushes for your concealer, shadow, liner and brow needs and the bristles are a mixture of natural and synthetic bristles. 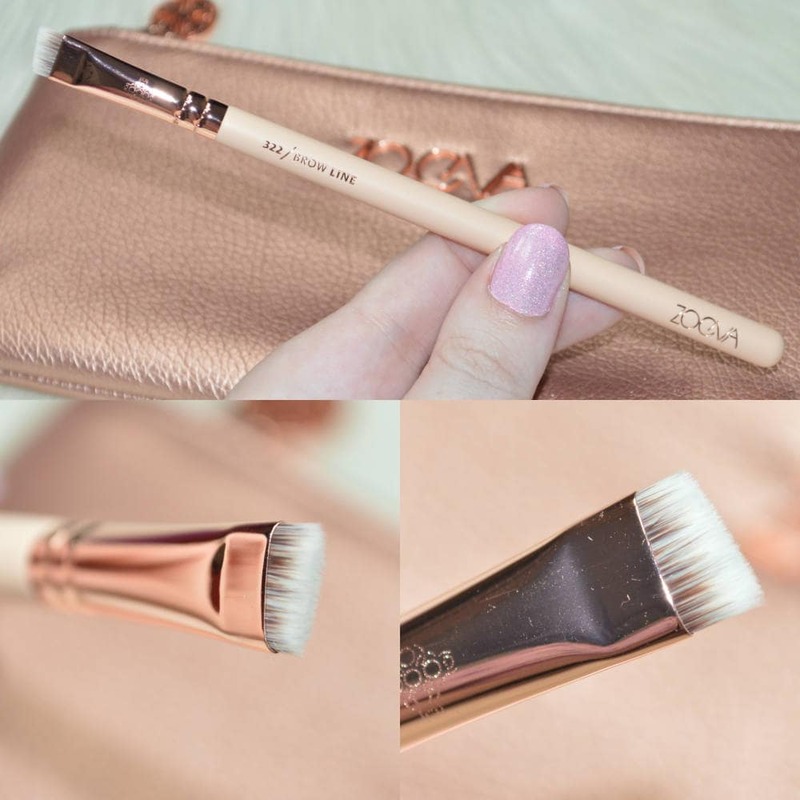 This is the biggest brush within the Zoeva Rose Golden Complete Eye Set Vol 2, and is technically not an eye brush as it’s designed for blending concealer but its tapered shape is ideal for blending concealer around the eye area. 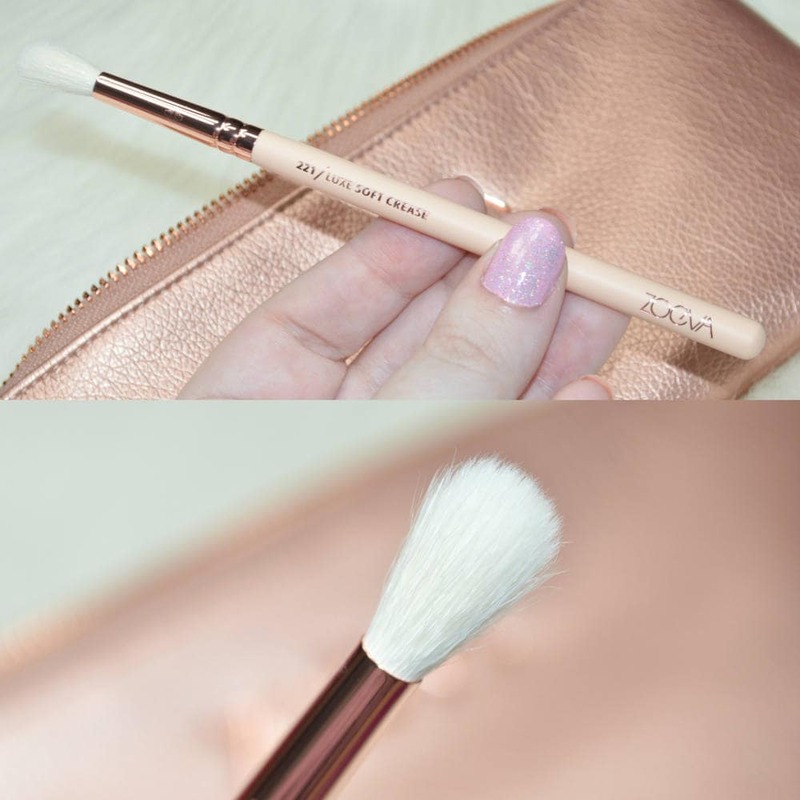 I personally prefer to use this brush for applying eyeshadow primer or cream eyeshadows to my eyelids as I like to use my fingertips for blending in my under-eye concealer. There are a few crease brushes within this set that it took me a while to decide how best to use each one. 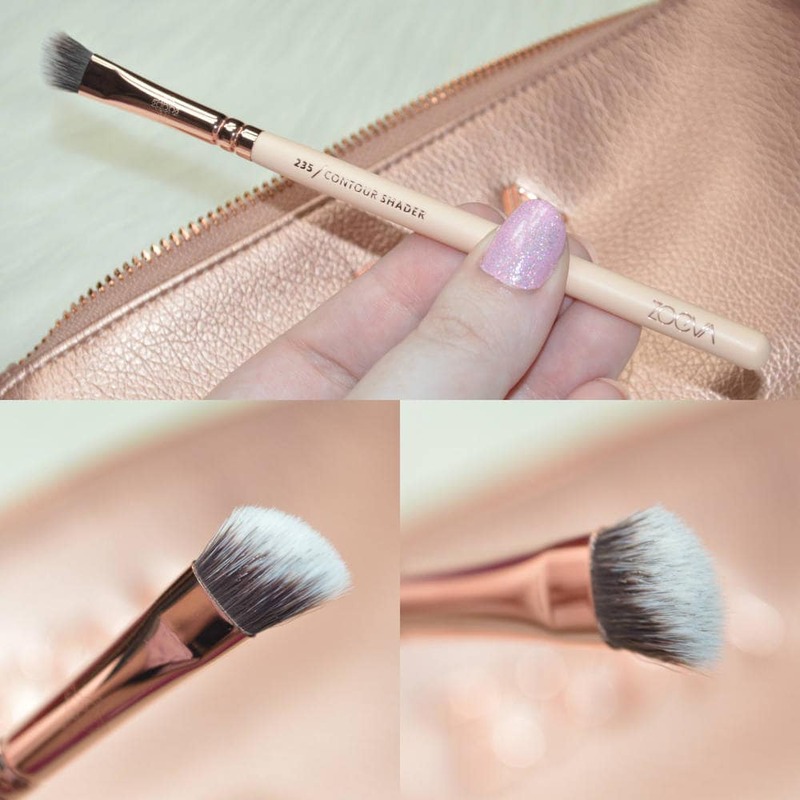 This is the smallest, and fluffiest blending brush in the set and I like to use this to finish my blending off by using it without any shadow on to diffuse my shadow as much as possible for more of a seamless finish. 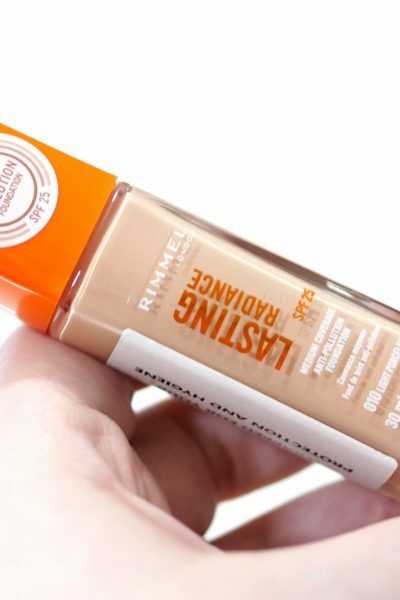 This one is also good for blending shadow along the lower lashline as it’s nice and small. This is my go-to blending brush from the set, for blending my crease shade as it has the perfect amount of bristles but is slightly stiff so it blends out my shadow really well. This could also be used to apply powder shadow or cream shadow to the lids as it has flat sides but I would say this is on par with the MAC 217 in terms of results although the 217 looks a little more similar to the 228 Luxe Crease Brush. This brush has a rounded tip, and reminds me of a long pencil brush. The bristles are a little stiff so they work nicely for precise blending if you want to add a darker shade to the outer corners of your eyelids, without going OTT and creating an accidental smokey eye – we’ve all been there! I sometimes use this brush to highlight my browbones and inner corners as the tip is the ideal size. I think I might be alone on this, but I’m not really a fan of pencil brushes to be completely honest. I find them to be too stiff for blending, so it feels a little pointless to use a brush just for placement of shadow. You could use this for smudging shadow along the bottom lashlines, but I prefer a fluffier brush personally. 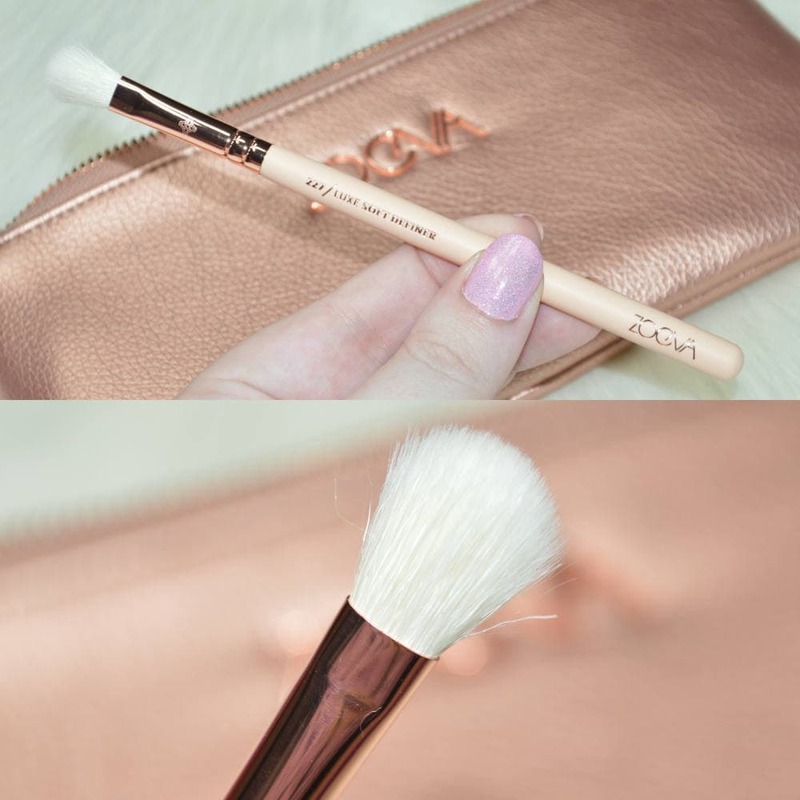 This brush feels a little redundant within this Zoeva Rose Golden Complete Eye Set Vol 2, as it’s a longer version of a pencil brush with stiff bristles. 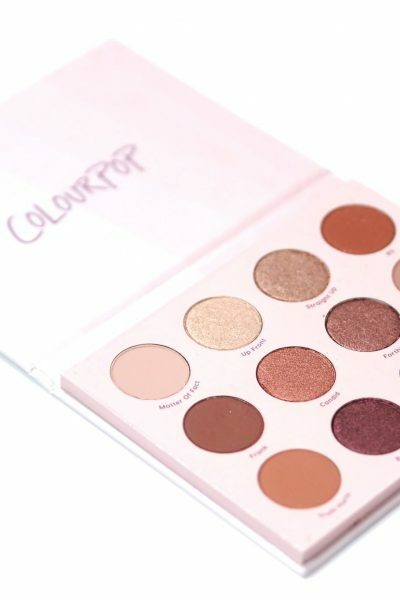 I don’t like using a stiff brush for blending within my crease as I personally prefer a fluffier brush for a softer look, but I imagine it would be good for those that like to create colourful makeup looks or a cut-crease but I’m not particularly adventurous when it comes to my makeup. I love this brush so much. The bristles are so silky and smooth, and are shaped into a flat almost paddle shape which is amazing for applying shadow all over the lids. The bristles are great at packing on colour, and you can use the edge of the bristles to soften the edges if you’re going for a one shadow look too. I really want to buy a few other of these brushes as they’re just so useful. This is the brush I like to use for blending darker shades through the outer corners of my eyelids as the angled shape of the brush fits the contours of the eyelid nicely. The bristles are really fluffy and soft, and I also like to use it to apply powder highlighter to my cheekbones or browbones. This brush is like a miniature version of the 232 Luxe Classic Shader Brush – with the same rounded white bristles, except it’s considerably smaller for more precise shadow application. 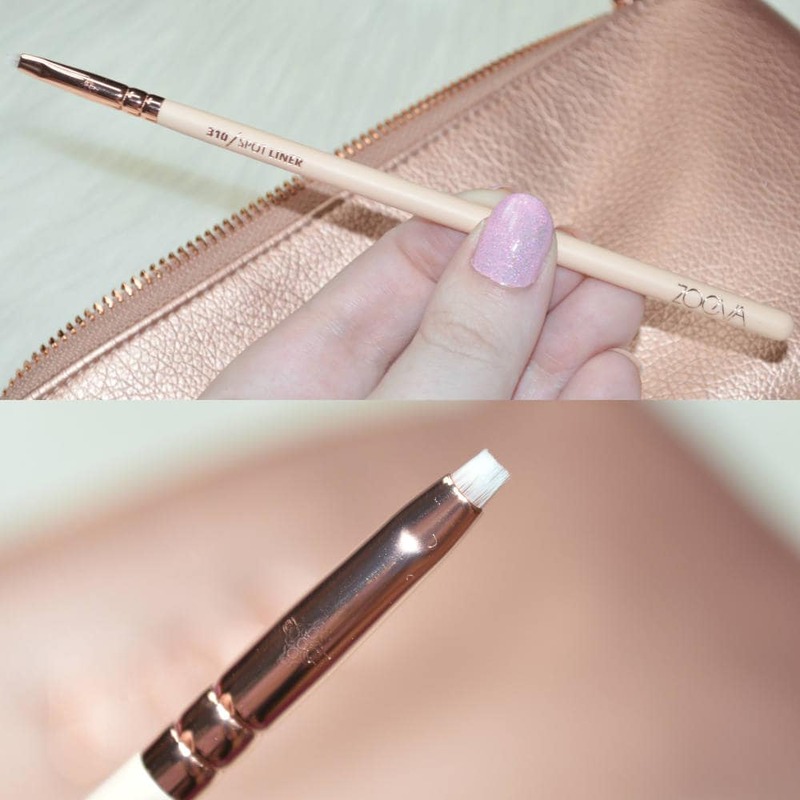 This is a tiny brush which is perfect for lining the eyes, or for tight-lining as you can press it between the base of the lashes for a more volumised lash look. I think I would have preferred an angled liner brush instead of this brush as it has such a limited use. This my favourite Brow Brush – it’s a slanted brush, with very slim bristles so I can draw short strokes throughout the brows to build up my brow intensity gradually for a natural look. 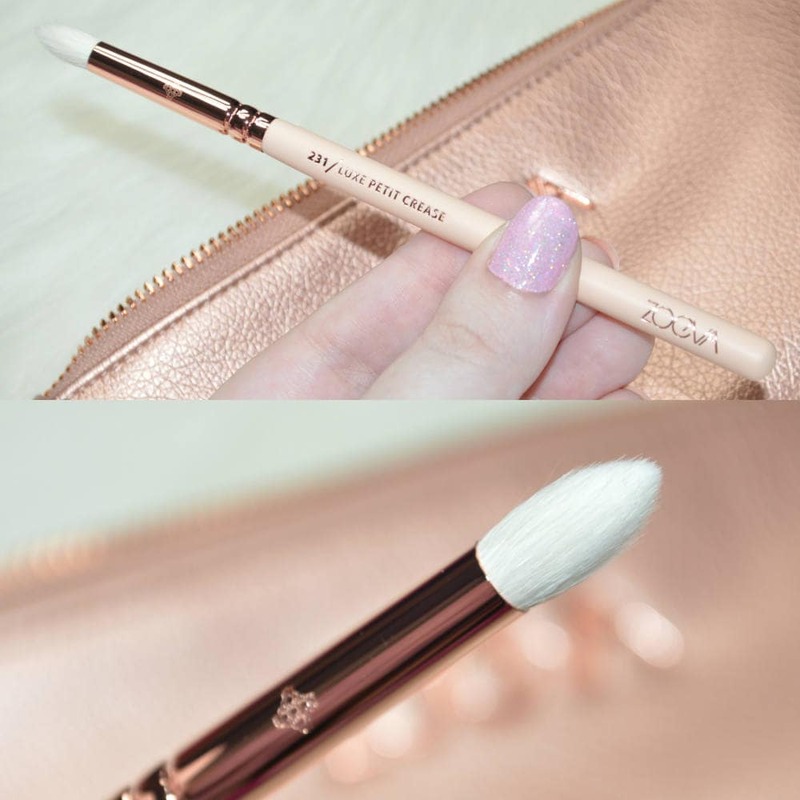 It’s such an amazing brush for filling my brows with both powder and brow pomade, and it can also double up as an eyeliner brush for using with gel eyeliner. This is the last brush within the set, and it’s almost as if it’s the 232 Classic Shader Brush has been cut in half. 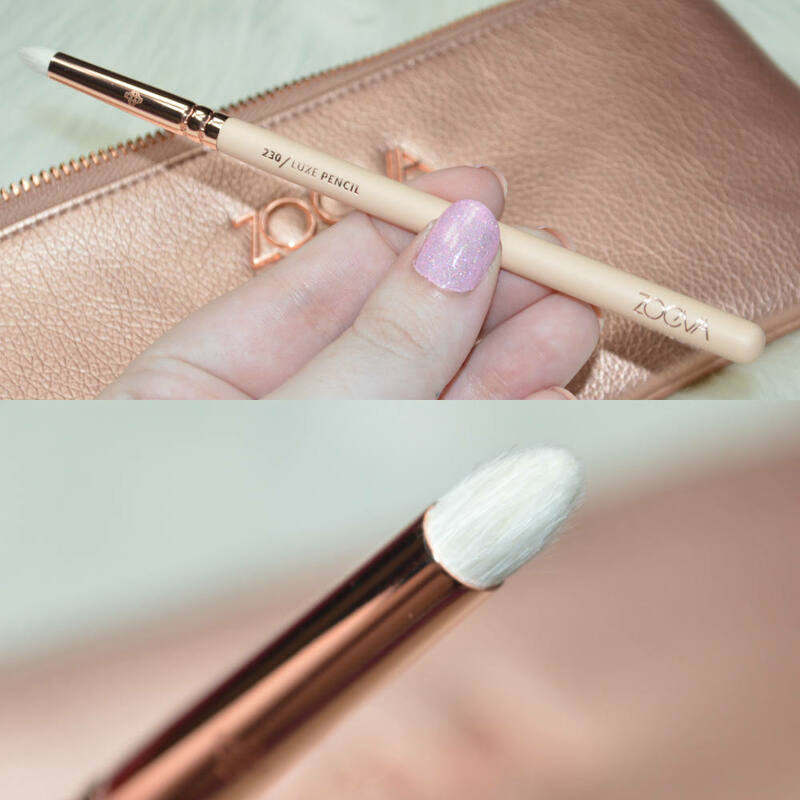 This brush is designed to be used for applying browbone highlighter, but I like to use it for applying eyeshadow, as I prefer a fluffier blending brush for applying my highlighter as a densely packed brush like this created almost a foiled effect. I think that this brush would also be good for applying pigments and glitter over a glitter glue base too. 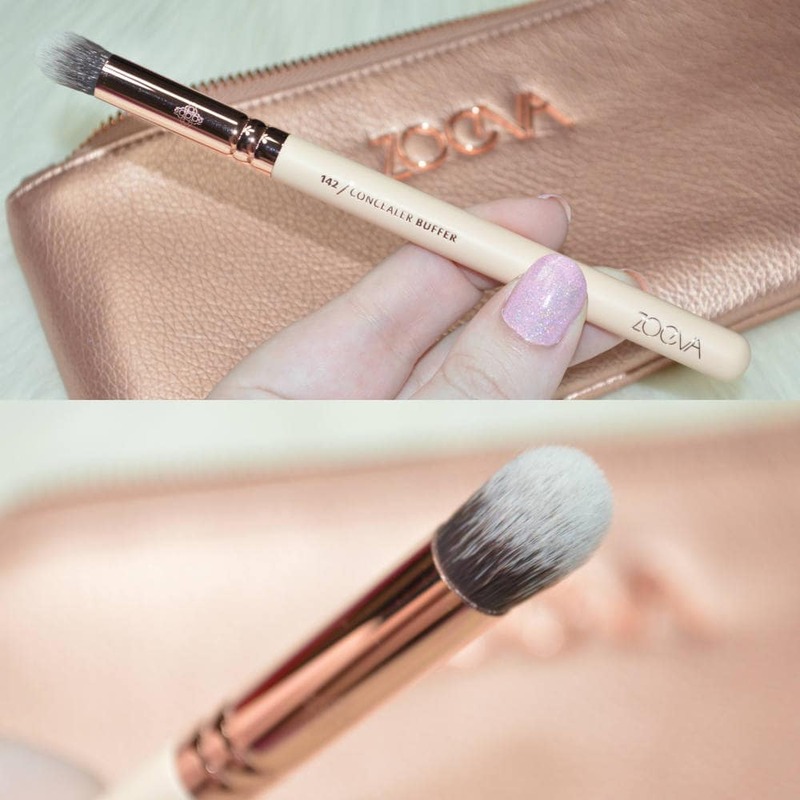 Overall, the Zoeva Rose Golden Complete Eye Set Vol 2 is a fantastic brush set which I thoroughly recommend. 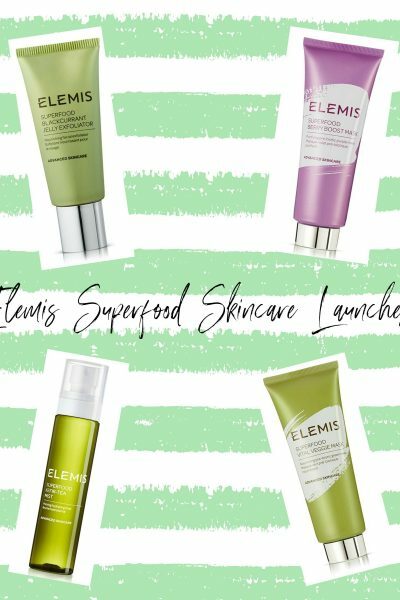 It works out at just £5.42 per brush which is just amazing value and that’s without considering the pouch too. 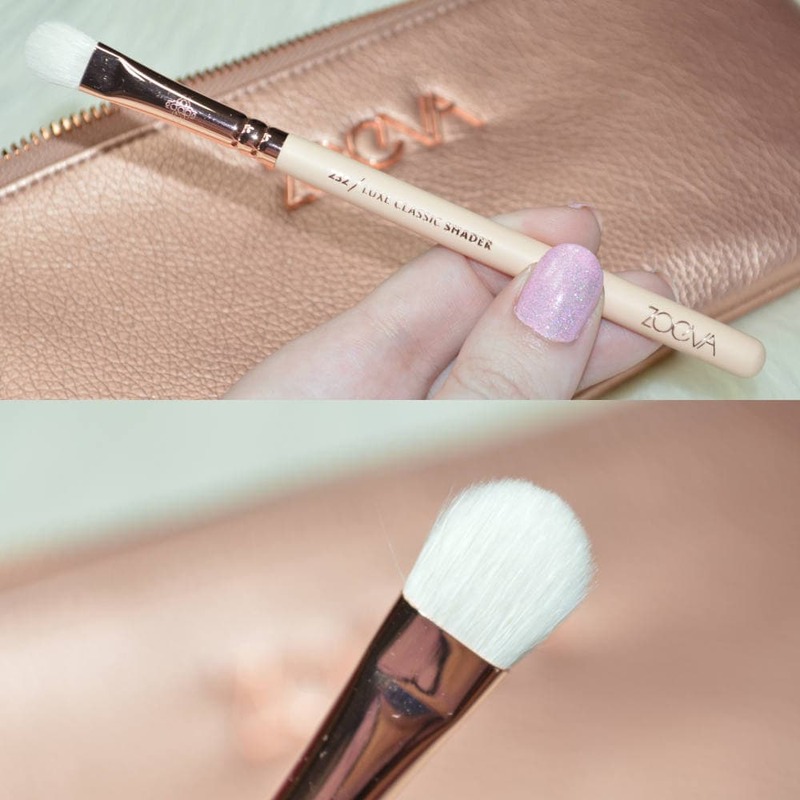 I cannot recommend Zoeva brushes enough as they’re such good quality, and they do such a good job at applying my makeup. 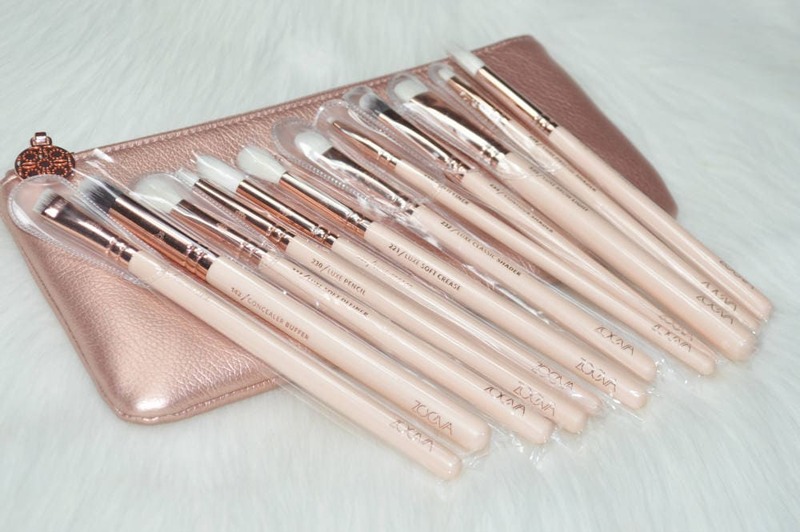 After being so wowed by this Zoeva Rose Golden Complete Eye Set Vol 2 set, I’ve since purchased the Zoeva Classic Face Set which contains six different face brushes, and I’ll be reviewing it very soon too. 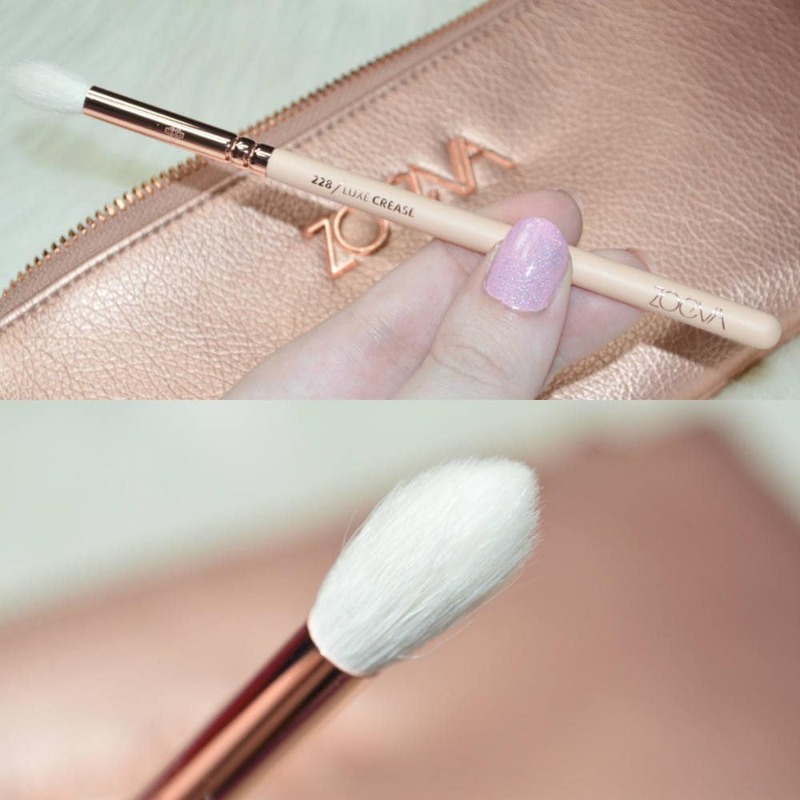 Have you ever tried any Zoeva brushes?